Citing an illness in the family of one of the musicians, Sheffield rock band Def Leppard has postponed its shows at PNC Bank Arts Center in Holmdel and the Nikon at Jones Beach Theatre in Wantagh. The Jones Beach show has been rescheduled for July 30, and all tickets will be honored for the new date. Def Leppard, Great Britain’s premiere arena rock band, have announced after 18 months off, they will make their triumphant return to the US with a summer tour. 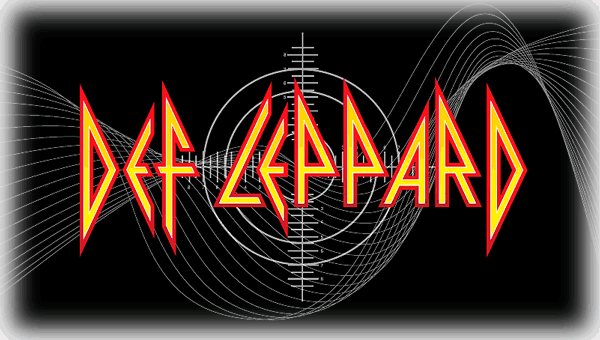 http://DEFLEPPARD.jonesbeach.com - Joining Def Leppard for this highly anticipated tour are Seattle rock legends Heart. Leppard’s influential career includes numerous hit singles and ground-breaking multi-platinum albums — including two of the best-selling albums of all time, “PYROMANIA” and “HYSTERIA”. The anthemic rock megastars have earned their stripes as one of the most enduring and successful touring acts in history. Heart showed the world that women can rock when they stormed the charts with hits like “Crazy on You,” “Magic Man,” “Barracuda,” “Alone” and many more, a stream of hits showcasing the sisters enormous talents as both musicians and singers, selling more than 30 million records. Def Leppard also announced the release of their first-ever live album, “MIRRORBALL”, out this summer. The live album was recorded across the world over the course of many of the band’s sold-out dates. Mirrorball will feature all of the classic songs that have made Def Leppard one of the most respected and beloved power rock bands in the world. The release captures the group’s legendary concert experience at its thunderous best, bringing together live versions of classic Leppard hits such as “POUR SOME SUGAR ON ME”, “ROCK OF AGES”, “FOOLIN’”, “HYSTERIA”, “PHOTOGRAPH” and an incredible rendition of “BRINGIN’ ON THE HEARTBREAK”. With their creative juices at full flow, the band has also added three new studio tracks: “UNDEFEATED”, “IT’S ALL ABOUT BELIEVIN’” and “KINGS OF THE WORLD”, that are undeniably Def Leppard. “MIRRORBALL” follows the band’s 2008 studio release, “SONGS FROM THE SPARKLE LOUNGE”, which debuted at #5 on the Billboard Top 200, marking the group’s highest chart position since 1992′s “ADRENALIZE”. In addition to the album, Chronicle Books will be releasing “DEF LEPPARD: THE DEFINITIVE VISUAL HISTORY”, featuring photos of the band by legendary rock photographer Ross Halfin. His fully authorized visual history of the band follows them from the new wave of British heavy metal to their massive “PYROMANIA” and “HYSTERIA” albums to the sustained power of their records and tours today. The book will be available this June.